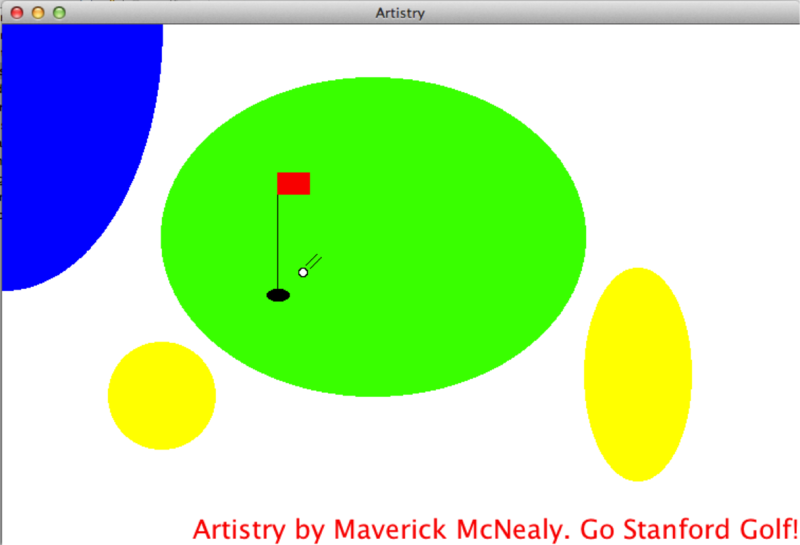 As "Nerd Nation" golfers, who hasn't spent hours conjuring up designs for golf holes on Paint or some other computer art program? Yes, we've all done it! But... how many of us could actually write the artwork's computer code from scratch? //adds a red signature flush up against the bottom right corner of the screen. Get in the Hole !! !